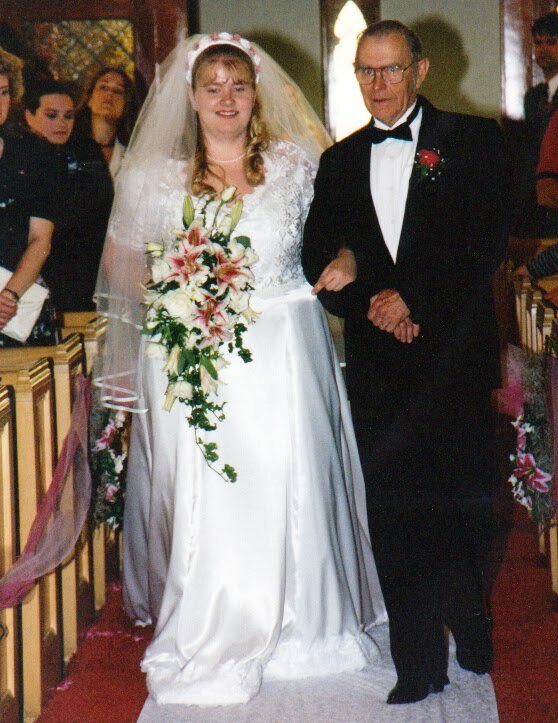 It doesn’t seem quite possible that it was twelve years ago that I walked down the aisle with my dad to meet a smiling, young, man at the altar. I often wonder what it would have been like to not have been the “fat bride”. 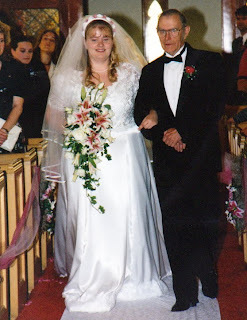 Don’t get me wrong, it was a fabulous day and everything, but I still wonder what it would have been like to feel different in my wedding dress - to be confident I looked great - to have picked a different style that was maybe more revealing, maybe a little more princess-like. Hopefully I’ll never get another chance to get married (and that’s a good thing). But this past weekend at my niece's wedding, I was finally able to feel what it was like to at least attend a wedding, wearing a dress I picked because I loved it, not because I finally found one that fit. Who is that confident looking person? I barely know her. She kind of looks like she owns the place doesn’t she? And sometimes… well… sometimes she feels like she almost does. This past weekend, not only did I wear this smoking hot dress, but I also got up in front of a room of about 65ish people, and MC'd a wedding. This next statement may sound a bit ridiculous and I’ve thought a lot about this over the past couple of days, but I really don’t think I could have done that 116 pounds ago. The list of reasons is long, but definitely includes both the physical – I probably couldn’t have been on my feet that long – to the emotional – I wouldn’t have had enough confidence to carry myself and command a room the way I needed to. Do people treat me differently now than 116 pounds ago? Is it highly a product of how I carry myself? I’ll never know for sure, but that absolutely plays a part in it. The view from here – holding my head up high – versus the old view I had of the ground as I never looked up, is much clearer. I see people’s faces, instead of their shoes. I see the sun instead of the ground, and I can see a lot farther into the distance. And looking out into that distance… I’m excited by what I see – Meeting people that never knew the fat me, and a whole future where how big I am no longer defines my limits. You look amazing my friend!!!! I love this statement, "Meeting people that never knew the fat me, and a whole future where how big I am no longer defines my limits." You will do amazing things!!! Love that dress, Sarah! I understand the 'what if' regarding my wedding many many years ago. Luckily I'm not married to the same guy anymore so I don't have to worry about pulling out old wedding photos. You know, there's always the option of renewing your vows.....I think that would call for a lovely wedding dress, hmm? HI Sarah! 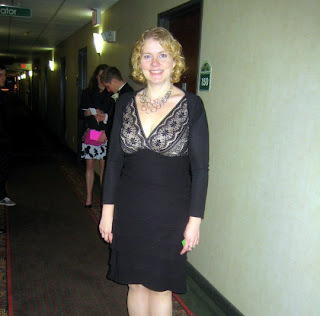 I am new to your blog - found you through Jen at PFG. I saw that you won the ticket for the event this weekend. Just wanted you to know that I will be attending solo as well, and I also had tried talking myself out of going more than once! I look forward to meeting you and also reading more about your story! I joined WW in Sept 2010 (I had done WW 2 other times in my life) and have lost 36 pounds in 15 weeks. I am starting to discover that renewed confidence and it feels great! I am also training for my first 5K so I would love to hear how your training went last year! Be well and see you Saturday! fatgirlwearingthin - yes... always that option... preferrably in Hawaii. Jen - I cannot tell you how much your comment means to me. Thanks so much for reaching out to me... I look forward to meeting you, and sharing in this journey with you. You have done amazing on Weight Watchers so far!! CONGRATS! Would love to talk about my training on Saturday if you want. Yes--she was very humorous. I think she could make this a career. Funny Ex-Fat woman wedding MC. Congratulations on winning the ticket. I can't wait for you to post about the "get together". I hope you have a great time! !